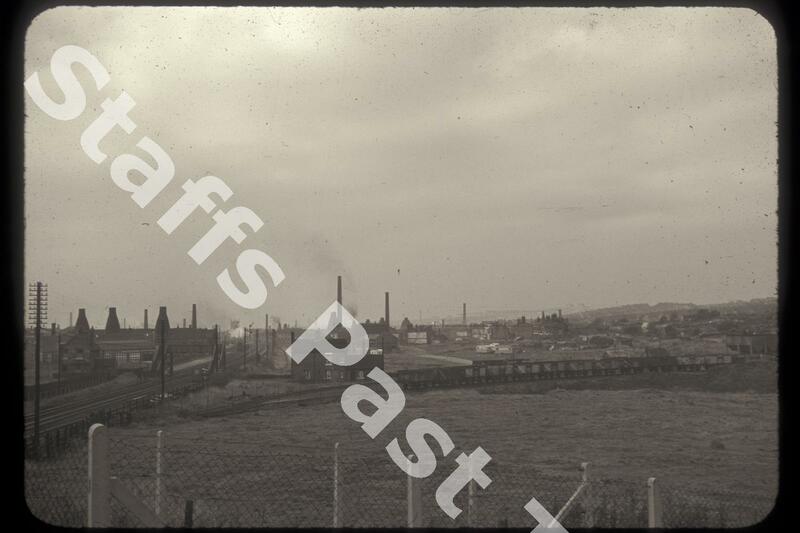 Description:Looking west towards the East Vale area of Longton. The railway line is the Stoke to Derby branch. St John's Church in Longton is close to the railway in the distance. The line of coal wagons are on the tramway from Park Hall Colliery to a coal wharf just visible on the right edge of the photograph. Coal wagons with diagonal white lines were for colliery use only and not allowed onto the main railway line. This line joined the Stoke to Derby line just east of Millfield Crossing, marked by the footbridge. The footbridge is still there, although the junction has gone. On the left edge, the three bottle ovens belonged to the Queen's Pottery China Works, which fronted onto Sutherland Road. Most of the area on the right hand side of the railway has been developed for housing. 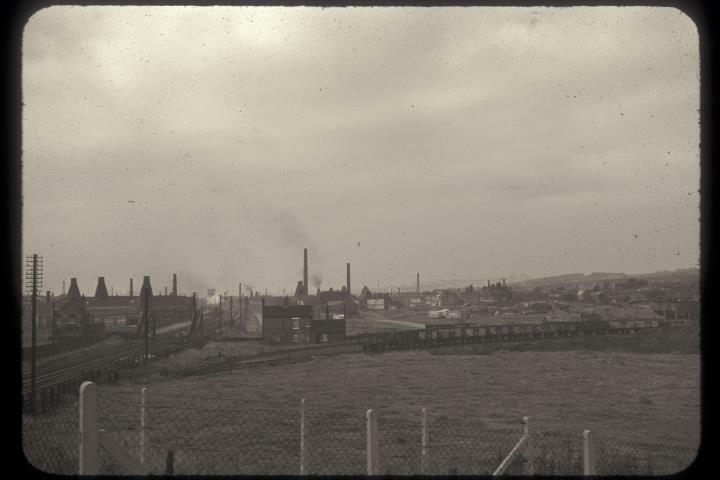 The photograph was taken from Weston Coyney Road, almost on the bridge over the line, then known as Millfield Lane.